Simplicity is key to organising an unforgettable stag weekend - the weekend itself can be as complicated as you like however, if you make it simple enough to understand, happy days. Choose a stag package, activity or build your own weekend from our simple to use website. Booking it is the easy part, simply click book now or call us on 01432 839032 if you prefer to chat it out - which we always recommend - but if you don't have the time, click the book now button. You can either collect and pay all deposits and your final balance by yourself, alternatively you can use our individual payment service. Individual Payment Service: We have made it very easy for all members to pay their deposit or settle their bill. They can do it online or by calling us on 01432 839032 - we can even send you a link for you to share on a WhatsApp group or a private Facebook page. When group members pay online, we go through each online payment to make sure that they are correct and are credited to the right booking. As group leader, we will also send you an email every time someone has paid with an attached payment list keeping you up to date. Please note; when using our individual payment service a £2 per transaction charge is added to your payment. This is an admin fee and not a credit card charge. Why do we charge this fee? Say for example you have 16 people in your group and every member pays their deposit and balance directly to us, that equates to over 30 payments, which is a lot of admin! This takes out the hassle of you having to check who has paid enough, who hasn't paid and who isn't coming, we will keep you up to date with all this information. 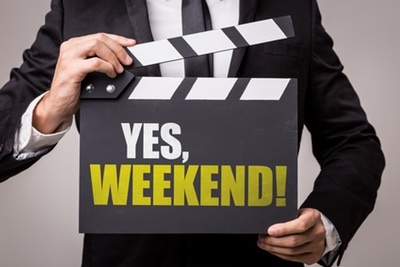 We will make sure you are fully set up for your weekend. Once your group have paid in full we will send you an electronic pack via email to you. This pack provides you with joining instructions, maps, what to wear and lots of other useful information which will help your weekend go with a bang! You will also be provided with an out of hours telephone number should anything happen on your weekend where you need assistance, you'll have a telephone number to call.